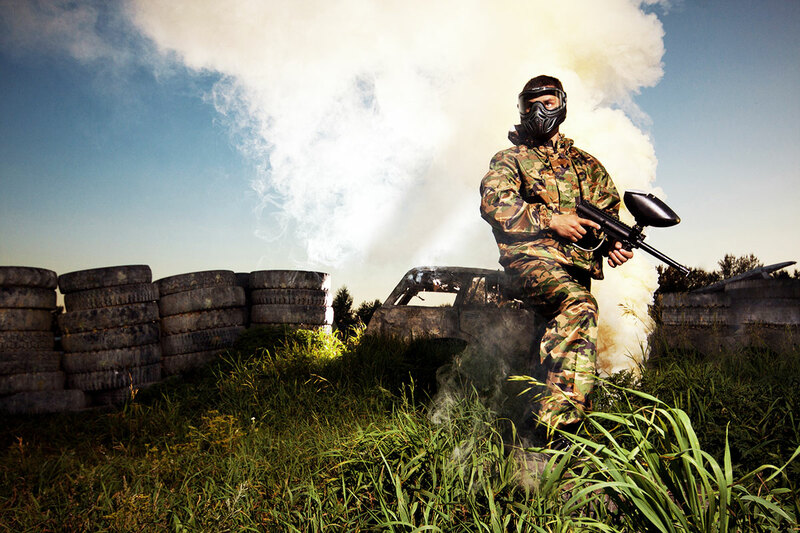 UKPaintball.co.uk is the UK’s leading paintball company, with locations up and down the country. The team behind the site approached 10 Yetis in October 2014 with a view to launching a campaign that would increase consumer awareness of the website, as well as improve search engine optimisation through securing follow links to its website on high domain authority websites. The company’s target audience is predominantly young men and women, particularly those celebrating hen and stag parties. The team at 10 Yetis were aware from the get-go that the more outrageous and ‘out-there’ the campaign was, the better the chance would be of securing a large quantity of relevant online, print and broadcast coverage. All of the Yetis put their heads together to come up with a selection of ideas relating to paintballing. Eventually, we settled on and pitched the idea of UKPaintball.co.uk recruiting an official ‘Human Bullet Impact Tester’. 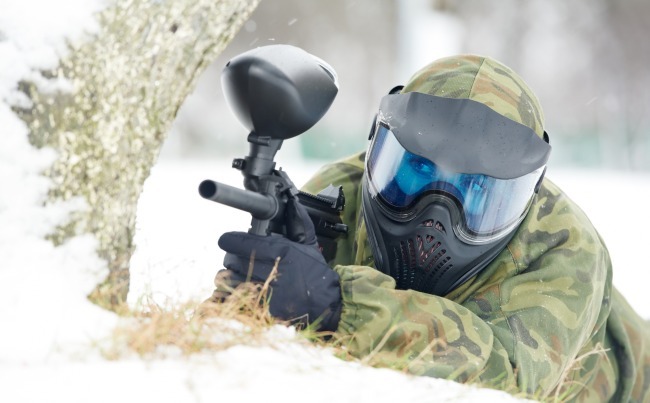 The premise of the PR stunt was, in order to ease the process of health and safety checks around the busy Christmas and New Year period (which was coming up), the team at UKPaintball.co.uk were beginning their search for a new recruit willing to become the latest official ‘bullet-tester’ for the company. The press release that we issued on behalf of UKPaintball.co.uk had a tongue in cheek tone and highlighted that the advertised role could pose some risk of pain, discomfort and even bruising; and that the successful applicant would also occasionally have to wear limited items of clothing or even go naked whilst the paint bullets were being fired at them (this would be in order to some ‘worst case’ scenarios). To increase the shock factor of the activity surrounding the recruitment for a Human Bullet Impact Tester, it was announced in all of our communications, as well as on the careers page of UKPaintball.co.uk, that successful applicants would be required to stand on the spot whilst paintballs were fired at them. Applicants were advised that they wouldn't have any protective gear on at this time and that they may also occasionally have been required to be shot at with paintballs whilst they were a moving target, such as when walking, running or jumping. In order to ensure that the job sounded as desirable to potential applicants as possible, as well as newsworthy, it was decided that the role would come with extremely flexible working hours and all travel expenses paid, as well as a salary of £40k per annum (pro rata). There were two phases to the Human Bullet Impact Tester stunt. The first release was planned, and announced the vacancy at UKPaintball.co.uk. This release achieved an absolutely phenomenal amount of coverage, with the likes of the BBC, BuzzFeed, Daily Telegraph, The Independent, Daily Mirror, Daily Star, Metro, AOL, BT.com, The Week, Time Out, Hello Magazine and other media outlets covering the story. The initial media outreach gained so much coverage and press attention that the recruitment story was even discussed on the ITV1 breakfast show Good Morning Britain by presenter Ben Shepherd and his colleagues. The second press release came as a result of how much coverage and interest the initial story generated, as well as how many job applications UKPaintball.co.uk had received after just one week. An astonishing 10,000 entries were sent to the company by individuals from not only the UK, but also countries such as France, Spain, Croatia, Holland, Canada, USA and India wanting to secure themselves a job as a Human Bullet Impact Tester for the paintball website. This announcement not only matched but exceeded the first press release in terms of the amount of coverage it resulted in, not only in the UK, but around the world. It was mentioned by the likes of Metro.co.uk, Telegraph.co.uk, Sky.com, the Daily Express, Mail Online, Yahoo.com, the Daily Star, the Daily Record, MSN.com and AOL.com. Overall the stunt generated more than 60 follow links and in excess of 150 pieces of coverage worldwide, far exceeding the expectations of the team at UKPaintball.co.uk and leading to a huge spike in site visitors and an increased brand awareness amongst the brand's target audience.